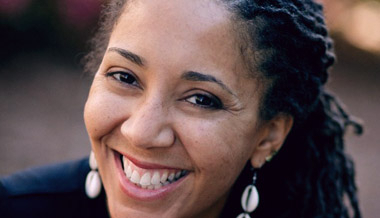 Monica A. Coleman is committed to connecting faith and social justice. The interdenominational preaching magazine The African American Pulpit named Coleman one of the "Top 20 to Watch" - The New Generation of Leading Clergy: Preachers under 40. An ordained elder in the African Methodist Episcopal Church, Coleman has earned degrees at Harvard University, Vanderbilt University and Claremont Graduate University. Coleman is currently Associate Professor of Constructive Theology and African American Religions and Co-Director of the Center for Process Studies at Claremont School of Theology in southern California. Scholar, author and activist Monica A Coleman on life after death and the a very personal relationship with God. Scholar, author and activist Monica A Coleman making lemonade out of lemons.